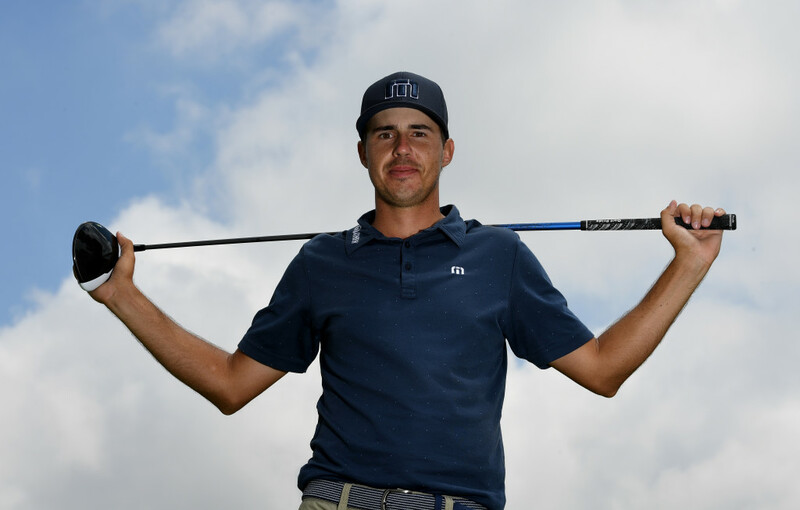 Chase is on: Koepka has secured European berth. Chase Koepka was sitting on the edge of his sofa on the day his older sibling won the US Open. Mostly because of nervous excitement, partly because he had a plane to catch. “I was supposed to pack up and leave for Denmark,” Koepka explains. “I just couldn’t pack because I was so glued to the TV and as soon as he got done I had to rush. Chase left Brooks’ house in a hurry and made the 60-mile interstate trip to the airport in Fort Lauderdale before, already on his way to Copenhagen, he received an offer that he found desperately hard to refuse. “He wanted me to come and hang out with him in Las Vegas but I was like ‘I’ve gotta go play golf,’” says Koepka. “I was really tempted but the thing was I was playing good golf and I really couldn’t afford to take a week off at that point. 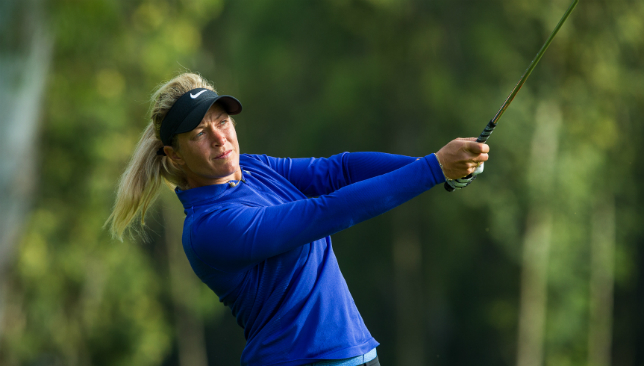 While Brooks found himself with an extra €2million (Dh8.5m) to play with after his triumph at Erin Hills, a few days later Chase pocketed about €6,000 (Dh25,500) in Denmark after tying for fifth place. But though it may seem like the pair live in two different worlds, they really don’t. It was only four years ago that Brooks was travelling down the very same path as Chase is now by earning his professional spurs on the European Challenge Tour. For an American to give up the comforts of home and country-hop across several continents is a rarity, but for the Koepkas, intrepidness runs in the family. Brooks Koepka won the US Open this year, and Chase (L) is looking to follow in his footsteps. Four years after Brooks graduated to the main European tour, Chase, also at the age of 23, has made the same leap. All it took was a little faith and a few precious invites from Challenge Tour director Alain de Soultrait. “I said to him, ‘I won’t need many invites, so when I do get them I’ll make the most of them’,” Koepka recalls. “I just remember coming off from Kazakhstan where I finished second and giving him a big hug, telling him I wouldn’t be here if it wasn’t for you. 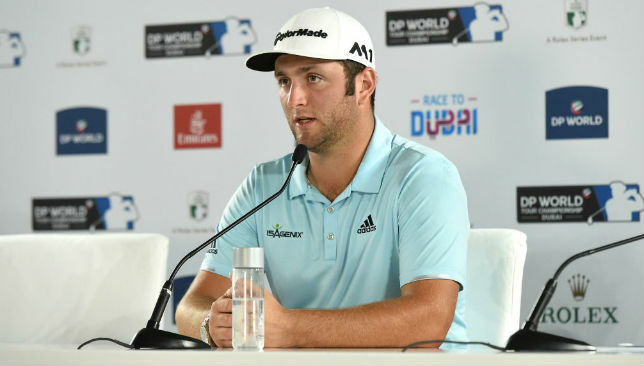 “It was awesome, he was very proud of me and if someone like that is able to help out, and for them to turn it into a European Tour card, they get pretty excited about that so was I. “I think all the experiences with the bad weather, and going to places the I would never have thought I would go and see, I think it’s made be a better, more-rounded player and it’s helped me grow up a little bit. “I’m 23 years old, I’m seeing the world, I’m not really complaining about where I have to go – and however many 20-hour travel days I’ve had to do. “Missing family and friends is the biggest thing – I didn’t see my brother for five months. When the pair do meet up there is no chance of Chase wilting under the star power of his big brother. 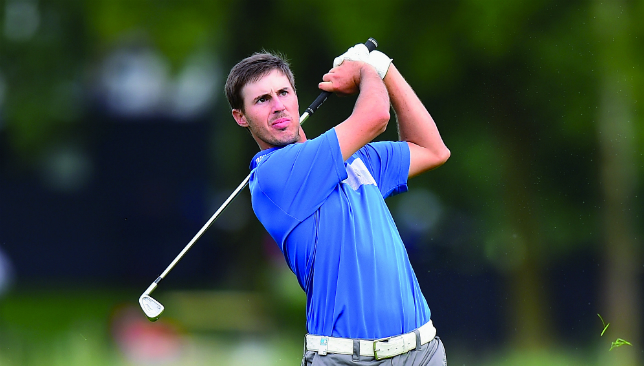 The Koepkas aligned forces in the team-format Zurich Classic in April and Chase did a lot of the heavy lifting on the way to a fifth-place finish. “I outplayed my brother the first three days and he knew it too, he was banking on me a little bit because I was hitting it so well,” adds Koepka. While Chase certainly does not lack for confidence, his brother, a men’s fitness pin-up, has the size and a power advantage that comes with it. 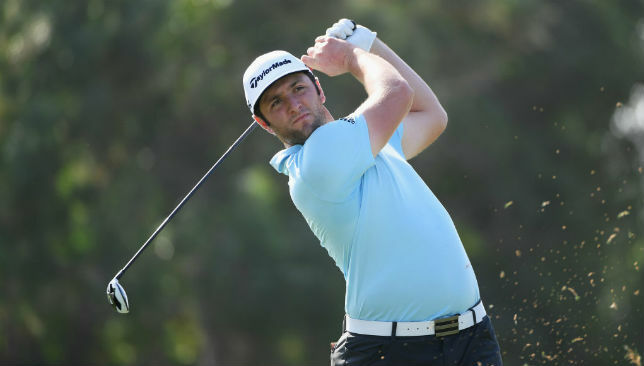 Both train with golf fitness guru Joey D back in Florida but an already diminutive Chase has lost 13 pounds this season travelling the world, ‘as spending 20 or 25 euros on a good meal gets pretty daunting’ when playing at a level where prize money is not in abundance. 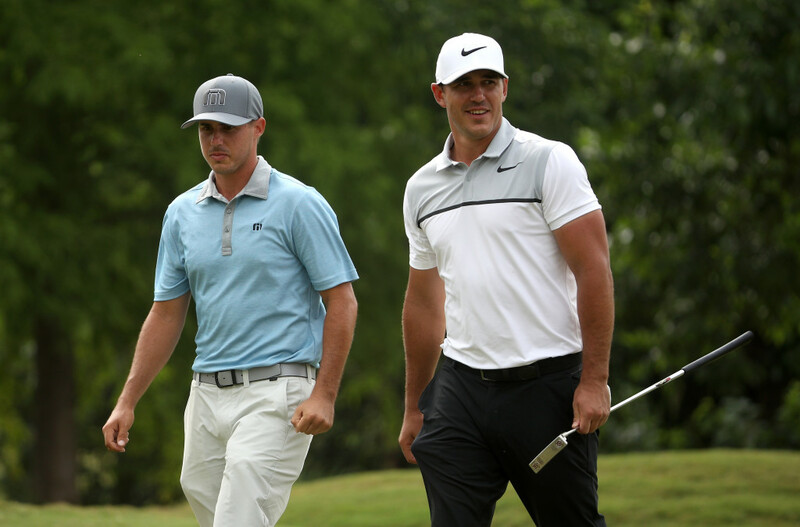 Chase Koepka is looking to the future, and possibly playing alongside his brother. But the former University of South Florida star is used to punching above his weight all the way back to his childhood. “Brooks and I were super competitive growing up, we both played baseball and basketball,” he says. “If my brother was good enough to play baseball, I guarantee he’d be playing that instead of golf and same with me. “If I was about eight inches taller I’d probably play basketball instead of golf. It was great, we both pushed each other so much. We also fought too but that’s part of it. “That four-year age gap, he was always doing things a little bit different and he was a bit bigger, stronger. Gaining weight and most importantly gaining respect as a rising star in his own right is on the agenda for 2018 and, if all goes to plan, the Americans will have their own Ryder Cup siblings to call upon. “The Molinari brothers have both played in Ryder Cups,” says Chase while looking towards the future. “But we do play totally different games. Hitting the ball a little bit further would help but I’m so accurate off the tee, I control my irons so well, my wedge game I think is world class when I’m out there and that I make so many birdies. “Around the greens I’m very good but think I need to sharpen it up a little. “There are some weeks out there I’m making every single up and down and holing putts from everywhere. Now both brothers are on a level playing field – but there’s enough space in golf for two Koepkas.